HR Connects at Engaged HR for a Spring Fling and a 30 Year Celebration! It’s a Spring Fling! Join us for a party to celebrate Carolyne Taylor’s 30 years of service as the CPHR BC & Yukon Member Relations Manager! This HR Connects will be an opportunity to celebrate, to connect and grow your network, and to spend time with the ever-growing Engaged HR team, who is the sponsor of this event. There will be awesome food, beverages and rumour has it there will be cake! This event is complimentary for members and non-members can attend for a fee. Pre-registration is requested as appetizers, beverages and a fun event are included! 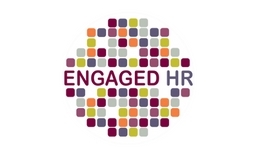 Engaged HR is located across from the Bay Centre. There is lots of street parking on View, Broad and Government Street. If a non-member attends a roundtable or a mixer and then decides to join as a member within 1 week, the $30 fee will be credited towards their membership fees.